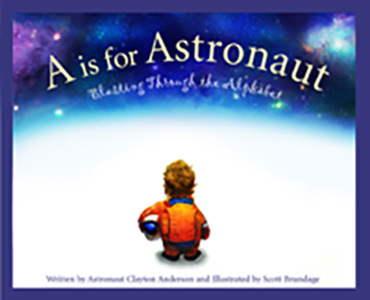 Former astronaut Clayton Anderson takes readers on an A to Z flight through the alphabet from astronaut and blastoff to spacewalk and Zulu Time. Topics cover the history of NASA, science, and practical aspects of being an astronaut using fun poems for each letter paired with longer expository text in the sidebars. Perfect for science buffs, budding astronauts, and astronomy lovers of all ages.